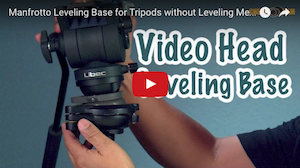 The gimbals that i've personally used in this blog were all preassembled and pre-balanced. When it comes to assembling and programming one from scratch, i'm totally inexperienced. 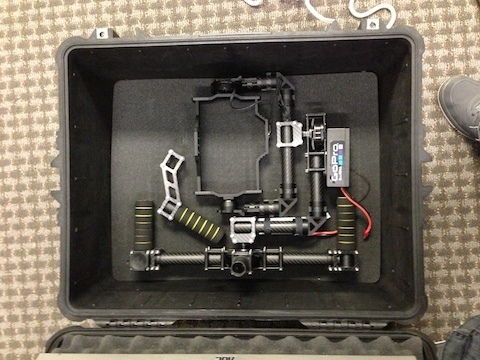 Last week we decided to tackle the CAME 7000 3 Axis Gimbal Kit, and in a few days we were up and running. We probably could have finished sooner, but we wanted to clean up our build by running the wires through the frame and adding a project box (watch the video below). Looking at the kit in pieces can be intimidating, but it's possible if you have the time and the patience. So here's a short video look at our fully assembled version along with some test footage shot by an inexperienced operator (my wife). For a first time user without even a monitor to frame with, I think my wife did quite well. The flooring was very rough and so you may notice a bit of 'jumping'. Unlike a Steadicam Vest with ISO (isolation) Arm there's no stabilizing complete vertical up/down movements. My guess is that an EasyRig could solve that. Outside of that I felt Pan, Tilt, and Roll was stabilized almost perfectly to keep the horizon level. When you're just casually walking the unit works very smooth, even for a first time operator to manage. 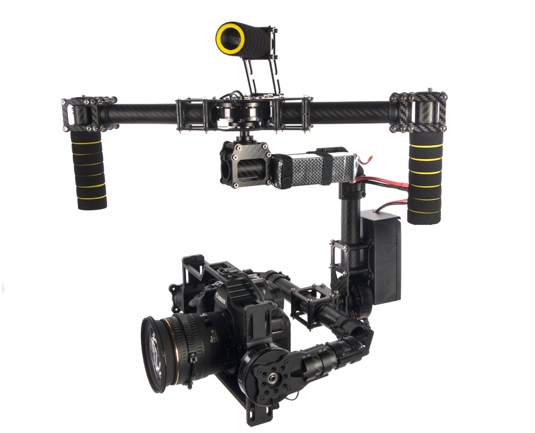 We were all very impressed with the performance for a 3 Axis Gimbal Stabilizer under $1K. While you don't need to be very skilled to operate a 3 Axis Active Stabilized Gimbal, you SHOULD BE skilled at balancing one. Not just balancing a camera physically, but also understanding the software, and troubleshooting. The software settings should be configured to work with different weight cameras. If you plan to balance a Canon 5D Mark III you can create a profile. If you want to balance a lighter camera, you should make a profile for that one. When it comes to troubleshooting, you can easily run into situations where the camera does not want to sit straight. This could be a combination of software calibration, or physical hardware. I'm not an expert but i'll be sharing my 'what not to do' experiences in another video. As far as putting together instructions for assembly, i'm currently working on that. There's no way I could have documented my progress as there were several instances where we did things incorrectly and needed to take things apart over and over again. Other times we found a better way to assemble the pieces and also needed to take things apart again. Now that I feel a bit more comfortable about the process, i'm going to work on a dis-assembly video which should make more sense seeing the end product and working backwards. If you don't want to wait around for my assembly videos, there are currently several videos on the product page to get you started. Once you have your product assembled, follow my instructions on balancing your camera on a Gimbal (seen here), and then install my profile i've configured for the Canon 5D Mark II (download here). You may just need to tweak your RC sub trim or Follow Pitch Offset Trim. Regardless, this profile should get you very close to flying most DSLR camera bodies. The software you install on your camera will only work if it matches the firmware on the controller. You would need to download the 2.3b4, 2.3b5 GUI software for it to work with the board. (DOWNLOAD SOFTWARE HERE). Don't forget to calibrate your IMU (sensor). Here's a video on how I chose to perform the 6 point calibration. Also for your computer to see the board you will need to install the Driver found here: (DOWNLOAD DRIVER HERE). Posted in dslr video. 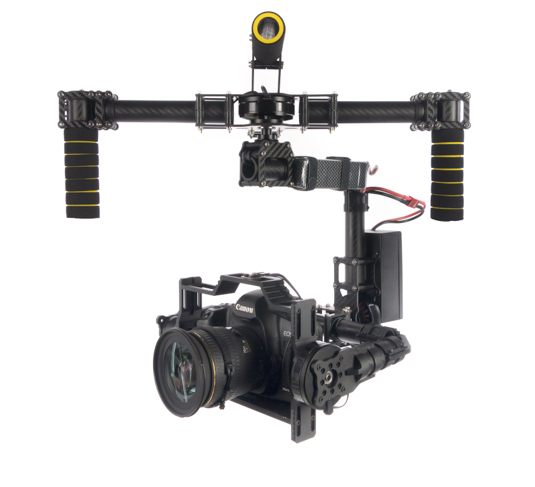 Tags: 2 axis gimbal, 3 Axis Gimbal Stabilizer, CAME 7000, CAME-TV Gimbal Review, Cheesycam DIY Stabilizer, Gimbal Instructions, Gimbal Programming, PID Settings Gimbal, Software Alexmos, Test Review Demo on March 24, 2014 by Emm. @Jeff - Make sure you select the option 'Skip Gyro Calbration at Startup'. Sounds like that's what happens everytime you startup and if you don't have that camera squared off and level, it will calibrate totally off. Any update on the CAME 7000 mount gyrating and the system rapidly beeping after the battery is hooked up? I programed it to follow along with standards I have seen others use, but when I plug the battery in it won't stop beeping, and the camera bounces around. @PATRICK LOCKERMAN - They are 25mm around 1". Quick question - what diameter size are the tubes on this unit? @louis - That sounds too heavy for this system. 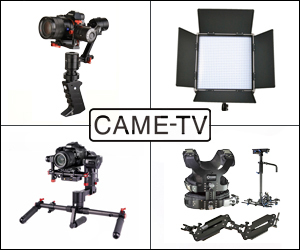 CAME-TV should be offering an 8000 model soon for heavier camera setups and with a 15mm rail attachment for your follow focus. We should see it by the end of this month. Will this work with the 5D Mk3 and Cinema lenses w/ remote follow focus? Curious if it will be hitting the weight limit as a lot more weight will be hanging off the front. anyone here using a quick release plate on there's? I'm having to use my camera from gimbal to tripod quite often so this is essential for me since I run and gun all the time. I'm currently using the manfrotto 577 Qr system since the rest of my tripods use it and it's great. seems to make it kind of heavy so balancing is a little tough. also, how are you guys mainly taking it around? I'm just laying it in my trunk. and carrying it bare everywhere lol any suggestions would be appreciated! 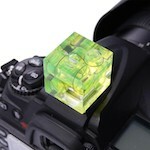 @Stefan Weber - On some of the newer firmware you can enter into a profile where the Frame IMU is Upside down. Hi Guys, I am using the Came 7000 gimbal (alexmos 32bit) with a GH4 and a Zuiko 12mm lens . The gimbal is in total balance and is working really well. I was trying to use the Gimbal upside down, but as soon as I try to turn it, it goes crazy and I have to turn it off. Any tips for this problem? Do I need any special settings or do I just force it in the right position? @stephenk - At this time any gimbal you get will require tuning. It's just part of the nature of gimbals. 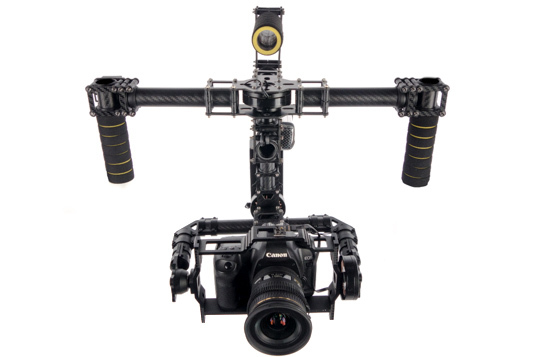 The CAME 7000 and the CAME 7500 32 Bit Version gimbals work very very well with a GH4 + 12-35mm lens. If you use a lighter pancake lens like the 14mm, 20mm, or Rokinon Fisheye the camera will tilt backwards. You need to notch the lower mounting frame so that the camera can sit more forward. Thank you for the advice. Any suggestion for a controller? @Juan - I think the systems are so close in design, I would probably just upgrade my controller because i've done some personal mods to my own unit. Thank you for all the hard work. Would you say that the difference between an 8 and a 32 bit Came would be worth upgrading if you could return the 8 bit for a shipping cost of $140, and then buy the newer version or would you upgrade by changing the board and sensors as you have done? Also for kicks, just try using a different USB cable also. I can't get my gimbal to connect to my computer. I have the 32 bit version. Downloaded the 2.4 software, plugged it in via Canon USB cable. Won't communicate. Tried using the program that unzips the files or whatever , no luck. Any suggestion? Thanks a lot man! I appreciate it. So what would you recommend? Getting EF Rokinon lenses or just go with the E mount Rokinon's? I'm just thinking that it would be easier to get the ND filter adaptor and buy the EF lenses, so a) I don't have to buy three different ND filters, and b) I could sell the Rokinon's a lot easier if need be.. Any thoughts? Obviously I want to use the a7s's full frame sensor to its full capacity and for my budget the Rokinon's seem to be the best bang for the buck. 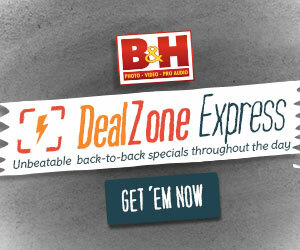 (Maybe I'll get Zeiss cine lenses in a year or two!). Thanks! @George - Sounds like a winner. The ND Throttle should work great when you need to swap lenses. I would test things out on a gimbal, chances are you may only stick with a few of the wider lenses on a stabilizer. I'd love your input! Thanks. @George - Yes the 7500 uses the latest 32 Bit with dual sensors. Yes I recommend the gimbal as it's a nice entry level price for something that is already assembled and configured with profiles. There are many differences with some of the more expensive systems. For instance the Varavon Birdycam system is easier to balance a camera with sliding plates and fine tuning adjustments. If you fly the same camera + lens combo (as I often do), you won't be making adjustments very often so it may not be a big deal. Also, the Varavon can fold down (new feature) and can have the handles easily removed for mounting to other tools (jib, cable cam, etc). Still, the CAME 7000/7500 is a petty straight forward gimbal that can carry the weight of a DSLR and works very very well. @Geoge - Yes, the CAME 7500 has a few upgrades over the 7000 and it should work fine with the new Sony A7s. When shopping for a gimbal, Just make sure you're getting a 32 bit version with dual sensors. The recent changes now make them incredibly stable. Just wondering if the CAME 7500 is worth getting over the 7000 and also if a Sony a7s would fit in the CAME? Thanks and the tutorial and instructional videos are awesome! @Nicolai - Change the RC setting in the software profile. Just swap the settings for pitch and yaw. You can also physically rotate the joystick mount too. I just received my Came 7500. I have a Problem with the Joystick and i don´t know if this is normal. If i press down the camera moves left. Is this normal? Any ideas how i can change this? @Otto Haring - Since you won't normally be pulling focus, I suggest a monitor with a focus peaking option. The GH4 can send overlays which is nice so you can use a cheaper monitor. I use a very thin lightweight hdmi cable which does not affect the gimbal but to go wireless you will need something like the nyrius or radian wireless kit. Or with GH4 you can try a tablet and wifi app. Which monitor do you recommend to use and how do you link it to the camera without any direct wires? @Jean-Philippe Archibald - I don't have an FS100 to test that out, but if you can get that camera to balance in the frame then it would work. The problem is you have limited adjustments on the frame. Just enough to support something like a DSLR or smaller. 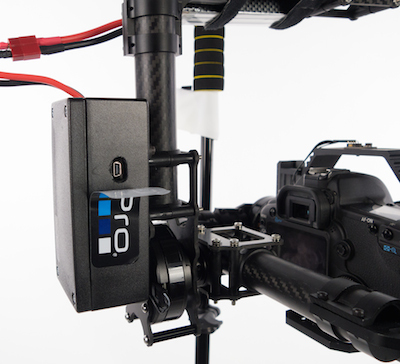 The motors feel strong enough to support that camera but again it's based on how well you can balance the system. Once a camera is balanced properly the motors use very little effort to rotate. Hi do you think you could put an FS100 on it? With the 16mm pancake, i can manage the weight to 1400g. With a canon lens we are more in the 2kg. 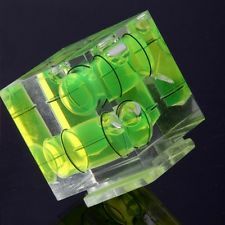 Do you think it will physicly fit, and I would be able to balance? Are the motors strong enoug? @Noah - I have just finished building the CAME 7000 32 Bit Version late last night, and have configured something 'close' with the GH4 + 12-35mm lens. I will share my results soon. Please answer for the gh4/12-35mm setup. Did you figure it out? @Raphi - Yes you have to do it from the tube that connects to the 'roll' motor. 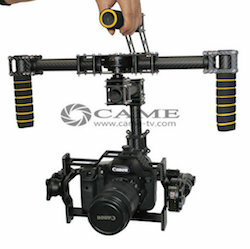 Be careful as once you loosen the bracket it will change the level of the camera platform. Make sure you have someone with you holding the camera while you make the left right adjustment. Mine just came in the mail today (no pun intended) and in reviewing some of yours & CameTV's videos, I just noticed that the 7000 mounts have room to adjust up/down & front/back for balancing the camera but not left/right like the 5000 does in your vid on how to balance the camera. Looking at your pics from the pelican case options, am I right to assume that to adjust the left/right balance of the camera you have to adjust the joint/bracket that connects to the motor/handles? Good to know, thanks Emm. 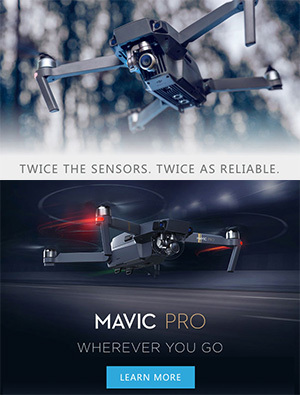 I was at NAB this year and was particularly impressed with the Varavon Birdie Cam 3-axis gimbal, but with a release date in December I'm looking for something to tide me over until then. Most likely try this one out as it's been tested and proven. @lan - The reason I decided to try this one out was because so many others have already set it up with success. I was more confident to try this one because it had a track record and excellent results. There are cheaper kits available, but not enough information on how they are assembled and how they perform. If you want to get into gimbals, the longer you wait the more options you'll have. 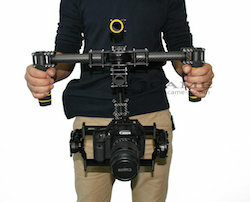 This year at NAB there was an explosion of gimbal products, so we should see them out in the next few months. I am looking at a few other 3-axis gimbals in the same price range on ebay but can't seem to find any reviews on them (some I can't even find a brand name). Most are from China so I'm a bit wary. Are there any others on the market in the same price range that I should look at, or would you recommend only this one? When you do get your gimbal PID setting for GH4 with 12-35 please share I have this setup and its a pain finding the right PID settings. The problem I'm having is when I tilt forward or backwards the gimbal shakes like a chicken. @lan - Yes not too much difference outside of that. If you can get the right add-on, you can add in a receiver and remote to the 7000. Thanks Emm, good to know. So basically for the 5000 you're just paying extra for the pre-assembly and the pan/tilt control? @lan - The Came 5000 can't be programmed with different profiles, nor does it have a joystick on the handle. The 5000 does have a wireless remote though, so someone can control pan tilt. If you can get your camera balanced, the 5000 does work good, but for the same price hopefully Varavon will have something out soon. How does this compare to the CAME5000? I know the 5000 comes assembled and the 7000 requires a fair bit of assembly, and the 5000 is significantly more expensive. Anything other significant differences? Well, just ordered one today along with a Teradek CUBE 255. Any recommendations for a accessory clamps on this baby for that and a SmallHD DP4? I'm also considering buying one, and I'm just about to do it. One very important question left tough... is there an option for remote control? @Bob - No I don't think this 7000 would be a good fit for BMCC. I am pretty sure we should see a good one in the next few months for larger cameras. @Emm - Thanks for the quick reply. I was thinking about the 7000 for use with the BlackMagic Cinema Camera. I'm not sure exactly, but I think think the Cinema Camera is double the weight of the 5Dm3, right? I know you tested the BMCC on the CAME5000 and determined that it was not a good fit. Do you think the mounting plate and motors would handle a BMCC, or is the camera just too big and heavy? @Bob - I haven't had the time to figure out the setup for a lighter camera than a 5D Mark III. If you don't have the right settings in the software it will start to freak out. Right now I only have the settings for my Canon 5D Mark III. Hi Emm, thanks for all of the great work you and the Cheesycam crew do. You made a great resource for filmmakers. I’m really considering the CAME7000, but I want use it with a BMCC MFT. According to the specs, the camera, adapter, lens, and hard drive should get me to about 2.33 kg/5.13lbs. CAME says it supports “about 3 kg,” do you think the 7000 can support a BMCC? @Southerndude - I need to get back that, I was working on my GH4 setup with my live switch for 5 hours. Looks like the GH4 HDMI out is not that great... some issues there. Emm: You working on that GH3 and 12-35mm lens for the Came-7000 by any chance, I know you have been busy with the NAB Show reports and they are great! Love them. Can anyone help with the connection and set up of the joystick? I'm not able to find any settings for this and am struggling. Anyway help would be amazing!! @Emm - I am trying to use the GUI to balance my Came-7000 and I’m not able to run the application correctly. For some reason the GUI cannot find a ‘COM-port’. I’m running a mac, I’ve installed the driver correctly (I think) and there are two board lights (red - on permanently, green - flashing). Can you guide me in the right direction please? @Emm- Awesome! I'm sure that myself and many others will greatly appreciate it. @Southerndude - I've been a bit busy to get back to the gimbal, but when I have time i'll share my results. When I fly the GH3, I typically just use the 12-35mm. @Emm-I love the coverage at NAB great stuff, I noticed that you said you used a GH3 for most of your shooting at NAB. I have a couple of questions, I have a GH3 and a 12-35mm lens. 1.- What lens did you use? 2.-Could you do a Came7000 config and post screen shots of your setup. I'm having a hell of a time getting mine to work. I have it balanced very well, I think the sensor is calibrated, I have tried your PID, and Tom Antos PID, my camera just keeps shaking, and beeping. Any help would be appreciated, I'll bet there will be a growing number of GH3 and GH4 users that would love the same info. Well, apparently he got through that, and he'll come to my house tonight to see if we can figure out the software. @Apostolos - Only the negative and positive battery cables. Pretty easy if you've ever used a hot glue gun before. I convinced a friend of mine to buy one of these and he said that you need so solder some wires to the board. True? @Mike - Looks good, but It's cheaper because it doesn't come with battery, controller, etc. It's just the frame and motors. Once you add in the controller and battery from them, you're about the same price as the CAME gimbal. @Robert - As with any stabilizer, steadicam, crane, etc. if you can't balance your setup properly then it won't very well. 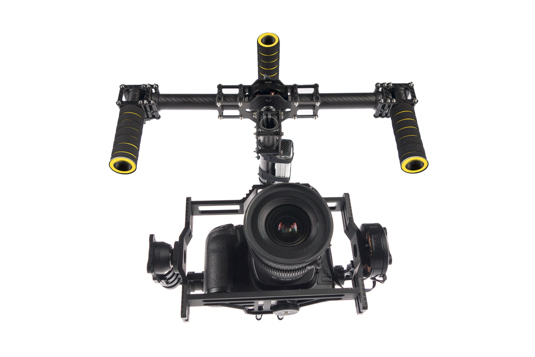 It sounds like you need a larger gimbal that can support the weight and size of your setup. Otherwise you will have to look into working with a smaller camera setup. I'm having troubling balancing Ive got my MK3 with the Zacuto Gorilla plate for my Z-finder attached plus Ive added a Manfrotto 577 Adapter so i can remove the camera easily but im having trouble balancing. I can get the camera to horizontal but when i tilt it or tilt it down it just drops. I have had to remove the top bracket because it wouldn't fit. Is this the wrong gimbal for my set up do i need to get say a 70d for better results. anyone has info on the came7000 board? its not anything like the 8 bit nor the 32 bit version on the GUI software guy website. would anyone have PID's on a setup for a canon 5dmark3 and a 24-105, or tokina 11-16 or 24-70 or 80mm lens setup may be? came tv people are not responding fast at all, usually 3-5 days later....and usually their answers are not for the questions asked at all neither , ... language barrier? Just a thought here, I would love to see someone take a lead, and produce a web-site or blog that totally supports just this controller, and gimbal and has a dedicated section of just PID's under different camera and lens combinations. Also how it performs and what PID settings used for different scenarios, like,real helicopters, how to adapt it to multirotors, how it works suspended on a cable, any special tricks on how to balance each camera and lens, with a strong emphasis on PID's being the most important. @Colin- I live in South Carolina, it took 5 days form date it was shipped, not the day it was ordered. I think the only real hang up is how busy Customs is at the time an order is being processed. Just finishing mine should have it running in a day or two been busy doing other video stuff. @Gethin - I think it would perform very well. You can adjust the settings to perform and respond to a variety of use cases. I saw one comment that it shipped fast but It didn't say where he was located. Anyone in the MidWest ordered this and if so how long did it take to arrive? Any thoughts on how this would go in a helicopter instead of a gyro? That rapid vibration you get in a small one - would it deal with that or would is still bounce around? Is it possible to control the gimbal with another operator using a remote control such as the Spektrum DX6i? @Benjamin - I can only work with the Gimbal for a few minutes straight, and then I have to take a break. The reason is because you have to hold it up so high to get the camera eye level (camera sits below handles). The best bet is to look into an EasyRig type support. Can you let me know the weight on this fully gimbaled assembled and with a DSLR and a decent prime lens. Basically the setup you shot with. I am curious because some of these gimbals specs say they run as light as 4 pounds and some as high as 10 pounds for just the gimbal. 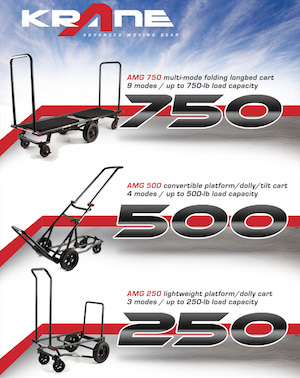 I imagine the a unit that runs around 10 pounds with everything on it is the max weight to be able to easily handle and maneuver it easily without an additional support system. What are your thoughts on the weight of this unit for a whole day shoot? Can those pan/tilt controls be changed to, perhaps, hook up to a follow focus? Or can you recommend maybe a cheaper alternative to the redrock micro universal thumb wheel that could be mounted to one of the handles? 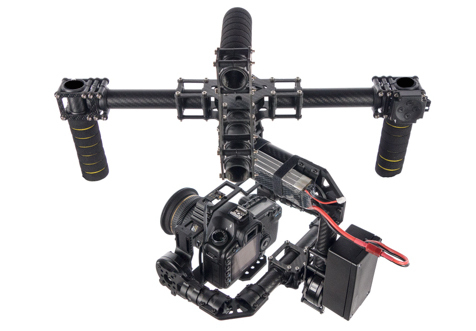 I'm about to pull the trigger on one of these and sell my Glidecam I think. I'm almost complete with the Came7000 build, I'm wondering if there is a PID for a GH3/12-35mm lens. Also, there seems to be some confusion in regards to 2.3 and 2,4 FW. Somewhere I read that Came-TV said that 2.4 is unstable, and does not work with PIDs that were set up using FW2.3, Is this true? what did you use? I would like to know a FW recommendation as a good starting point. @Johnny good fine on the handles I actually did the same as Tom and was wondering if they was shipping out different models thanks for seeing what we did wrong. I will be fixing that today. @Vladislav - You can spin the gimbal around full 360 degrees. It will act differently depending on how you program the software. Mine is set to adjust after a certain level of degree change. 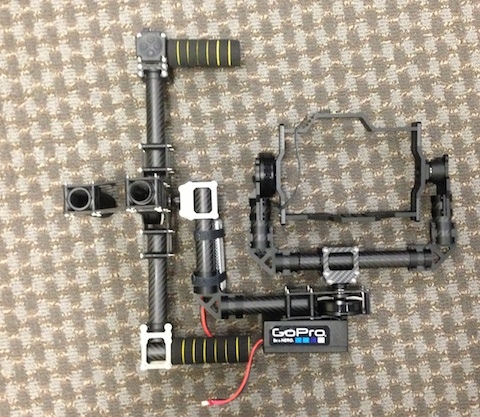 Could you show extremal angles of this gimbal's work? Emm: Ok, my Bad! It was the top motor It wasn't tight enough! Whew! Here is a Short Video on how to build a Gimbal Stand using PVC, if you don't have light stands, or want something more portable. Thanks a bunch Emm and everyone for the help! Really Appreciate it! @Justin - If you want to keep everything together, you'll need something at least 22" inches square. If you want to take things apart, you can use a smaller case. it take a few minutes to disassemble a few handles, but not overly complicated. Here's a few images of it laying down, and to fit into my Pelican 1650 Rolling Hard Case I have to take off the top handle (4 screw approx 30 seconds). Video looks great man! I was just curious on how you store this when traveling in the car. Pucked pelican case maybe? If you could let me know that'd be great. @Southerndude - I don't have that much play in my system. What motor is that for? The Pan, Tilt, or Roll? @Gordon - I didn't know it was almonds, but it's literally just a few blocks from my house. where is that almond grove? This message is to anyone else that has a came7000 kit or Emm if you could comment on this. I'm posting a very short video to see if anyone else has this movement in there kit. I want to know because if it's not then I'll need to address this with Came-TV. Thank you in advance! @Southerndude - Yes that box should fit the stuff without bending any pins. If you want something smaller, you would have to modify the controller. Hey there guys, how do I tell if I have an 8 or 32 bit controller? Mine arrived yesterday and I want to make sure I download the correct software. Emm, this should work right? the dimensions are just a slight bit bigger, Very hard to find an exact 5"x3"x2" box. Confirm this if you can Emm. Great videos on wiring! Emm, I have your dimensions on the box, but are those the outside dimensions? Because of the boxes I have looked at have inside screw mounting posts in the corners? Where did you get the IC Board mounts, and screws, and what size? Did you solder your power cable to the board? Also, when taking the clips off to feed the wires thru the frame, how did you keep track of what sequence the individual wires were for re-insertion back into the clip? Hope these don't sound like DUH! questions. LOL! @Sandy - I don't think there is enough height in the original frame, but not to say it can't be modified if you're good at DIY. Do you think it's possible to use a c100 with this? or would the height of the camera be a problem? @johnny - Thanks for pointing that out, makes sense. @Nick - I was going to try that next. It might be tough to balance my heavy 70-200mm but I will try a longer focal length. Hey Emm - long time no speak 😉 - just curious - has anyone tried longer lenses than 20mm on these units. I realise the long focal length amplifies errors - but I've seen a bunch of steadicam shots at 75mm and 150mm (effective) and they look very pretty. Consider creating and selling a video on setting up and using this unit. @Dan Eckert - That's all in the software. You can ask the gimbal to follow the operator, or stay in place and not respond to any movement. You can have it stay in place more aggressively or attempt to reposition itself very slowly and gradually. You are limited to run time on these batteries. I'm not exactly sure about run time, but I doubt it would last through a long time-lapse. @john - Yes these stabilizers won't be affected by the wind like the other type of stabilizers. They fly very very well, and anyone with little experience can fly it without a problem. The main obstacle is just getting it setup. If you have a camera + lens combo that you would always use, then you just need to set it up one time through the software and gimbal placement. You'll be good to go as soon as you arrive at your location. @Nick TImblin I ordered mines on the 21st or March it shipped on the 23rd I'm receiving it tomorrow the 25th pretty fast I must say on the site they guarantee 4-7 days. Emm is this stabilizer system better manage with windy day ? If yes, how much better then standard Steadicam ? @Southerndude How long after you ordered it did you receive it? I have a wedding April 19th I'd love to buy one and have it set up and figured out by then.. When and if you do the second video, can you do one with a focal length of 50mm or longer? Wider focal lengths are more forgiving when it comes to noticing camera shake, so I thought it would be cool to see how it pars on a subject with a much longer focal length. Many of the videos online for these stabilizers use wide focal lengths, which is cool, but makes it harder to judge how well they can stabilize a shot. Especially if I threw a 85 on there with a crop sensor, I would like to see how stable it can maintain its frame. @Scott Squires - I think i'd be faster to balance a non-motorized stabilizer if i'm in a situation where I have to change lenses, etc. The stage on these gimbals take more time to make very small adjustments. Also, the software in the gimbal will perform best when you have it programmed for certain weight, although it can still operate without perfect balance. If you're not perfectly balanced, you can also use the joystick to level out the camera, but again it won't perform at it's best if you aren't setup correctly. @Southerndude - To fit it without bending pins, you're looking at [5 inches Height / 3 inches Wide / 2 inches Deep]. Emm, which size of these would you recommend, or not recommend? @emm Thanks for the reply let me know the dimension so I know what to look for at my local cable and connector shop. @southerndude Good to hear you got yours today I will be getting mines tomorrow waiting on confirmation of custom clearance and deliver notice can't wait either just like you I will take my time. But I have experience with the software and gimbal controls since I have one for my GoPro from Alexmos. @Southerndude - There are a few assembly videos, but I can start with a 'disassembly' video which I think will be an excellent reference when building it. Let me see what I can do today. Oh my God DHL just delivered it, I'm jacked! Emm, absolutely great stuff! This is just Crazy, I'm supposed to get my Came7000 in a few days, and while I was watching this video, I got a text from DHL saying they are delivering my Stabilizer today! Yahoo, I'm taking my time with it I want it done right, I'm real tempted to wait for your videos, but anxious at the same time. Also are going to do a profile for a GH3/GH4 camera? If so would love the downloadable profile. Then i could just tweak it from there. Also if you find a real cool project box that is a little bit bigger than yours I would love the link, or even some recommended dimensions to use as a guide for procurement. Came should pay you a good commision, there going to sell a lot of these because of your great input! Thank's aagain!! Can"t wait for your installation video! Emm, would be great if you can also show us how to calibrate the software and create the profile. I was about to buy the came6000, but I reckoned I'll go with this instead. @Luis - I will have to get back to you on this. I had this laying around already and I purposely bent a few pins on the board to make it all fit (not recommended). I liked the smaller box so I risked bending some of the pins to shave a few inches on the side. Not shown in the photos, but behind the GoPro sticker is a hole cut out for the USB connection. I never have to remove the box. @Johnny - One of my favorite lenses. 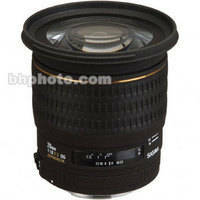 That's the Sigma 20mm F/1.8 Macro (found here). @Tristan - If you plan to move around very quickly walking / running, your best results will come from having a 3 Axis stabilizer. Gimbals are great, but is an entirely new learning curve as opposed to your basic hand held stabilizer. It's not any faster to setup or balance especially when you're swapping lenses, so think about whether you really need something like this on the job. 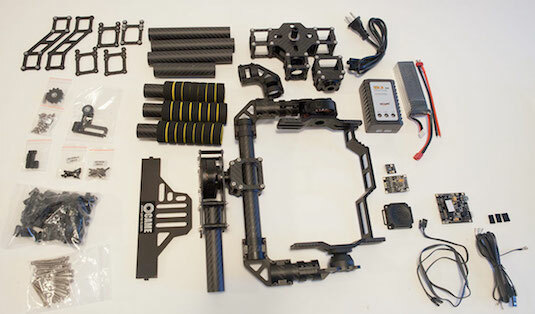 Pre-assembled Gimbals will cost more money, but I think once there is enough information (as we are hoping to provide) about how to build one from scratch, anyone should be able to tackle it. Just be prepared to learn as much as you can about programming the variables so that you can troubleshoot out on the field. Even pre-assembled kits will require knowledge about how to balance, and basic troubleshooting when things aren't working correctly. What size was the project box you used on the back. @Robert - Walking with the gimbal is amazing with absolutely no shift in movement. I'll try to get out and do something later today on this. @Kelly G - If you can balance a camera, the weight moves very easily. These motors are probably more than strong enough. The problem with these gimbals is that there may not be enough room to properly stage the Camera. Not enough up / down / left / right / forward / back to get the camera perfectly balanced. Based on the specs it should fly a BMPC with a light lens. His does it handle at the upper limit? Footage looks amazing! Especially considering you have an inexperienced user running on terrain that would challenge an experienced user at a walking pace. Really looking forward to the rest of the videos. Great stuff as always. So what do you think would be the best option for someone like myself who is open to DIY gear but not the handiest person out there? 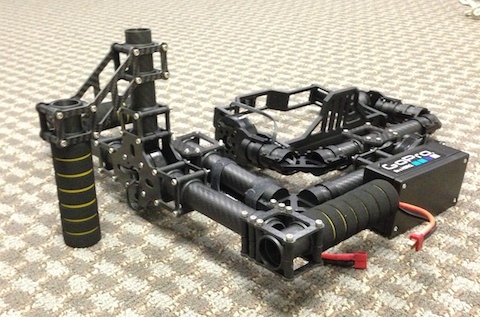 Should I just get like the lighter version of the Movi or something pre-assembled or is this really a great option? Thanks in advanced. Emm, love your family outings, and your daughter 🙂 which lens did you use with your 5D2?